A pretty decent movie about a couple of murderous tendencies, what’s most interesting about this film is the dynamic between the members of the couple and the way that it changes as each of them becomes more violent and deadly. This is a pretty cool movie that takes a little while to get going, but once it does, it starts moving at a nice and compelling pace. Things really get started with the first murder. It’s also the most comedic of all the murders in the film. After that, the movie becomes more psychological and about the evolution of a killing rampage and waking something up inside of Tina. Each murder becomes more and more extreme, and before long, the character who started it all is no longer on board. The storyline and ways that characters change and develop in this film, are both fascinating. 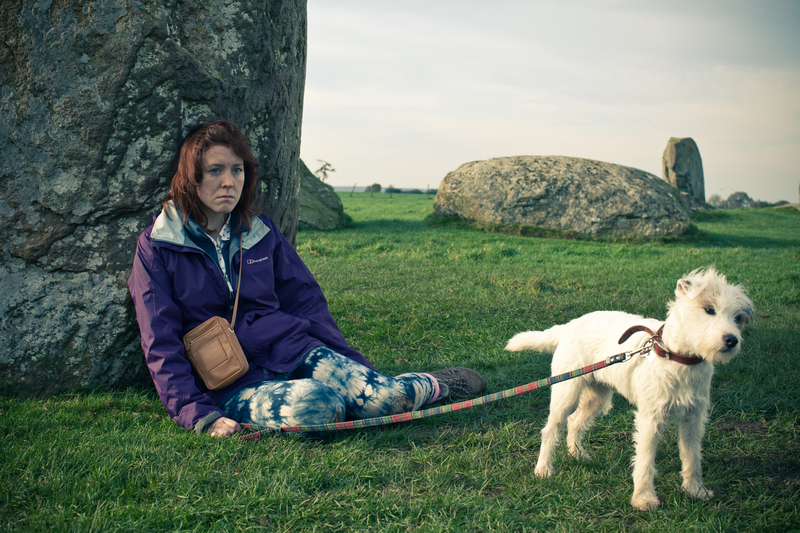 Sightseers is an unusual movie. It is the breakout film of British director Ben Wheatley, (and most likely his best work,) a man who has gone on to make bigger films with more well-known casts, (such as High Rise with Jeremy Irons and Tom Hiddleston.) 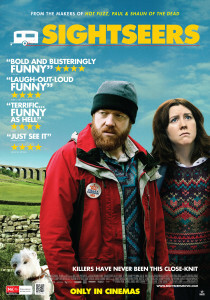 you can see why a movie like Sightseers might have propelled this director into the next echelon of filmmakers. It takes a familiar kind of story and finds all kinds of creative and original ways to make it work. The movie is about a couple of young lovebirds who decide to take a trip out to the countryside together for a mini-vacation. By the end of the movie, they are both killers. Only this isn’t your usual Mickey and Mallory story (Natural Born Killers.) This isn’t The Badlands with Sissy Spaycek and Martin Sheen. This is a film about the evolution of killers and how the two characters influence each other and go through changes. Early on, the members of the couple seem pretty normal, as they plan to spend about a week traveling together. But little by little, they each begin murdering people. They pretty much never do these murders together, and instead kind of pass it along to each other and that’s where the movie really gets interesting. In the way that the plot develops and unfolds to the point where the two characters become more against each other than doing the murders with the other’s approval. You would think, from all of this, that the movie would be about the dynamic between these three characters. You would think maybe it would veer in the direction of the couple plotting to kill, and then killing the mom. That’s where this movie gets unique. It turns out the mom character is only there for the introduction. Maybe she’s the source that sets them out, to be so angry with the world, as they take their rage out on nearly everyone who will now come across their path. Tina and Chris start their trip in the countryside with a bus tour. They sit on the top level of a double decker bus, and Chris is more interested in the heavy man in front of him than he is in the touristy sights. This heavy man eats chocolate and then drops the wrappers on the floor. Chris tries to tell the man this, just in case it was a mistake, and the man didn’t realize. He ignores Chris. The tour ends and they get to the parking area where Chris looks out the window and sees the man again. And again, he is dropping another wrapper. Let’s just say, this leads to murder one. And it includes a very funny moment where as the man dies, his hand opens up to drop still another wrapper. From there the couple heads to a campsite where they setup a tent, only to find there are shamans doing song and dance routines right outside their tent all night long. So much for peace and quiet. When they meet another couple and don’t like the way this couple looks down on them, it’s time for murder two. When a man tells Tina to pick up her dog poop, and gives her a hard time about it, we get murder three. And now the movie starts to get especially interesting. Murder three is like a passing of the torch, because for the first time, Tins is right there, witnessing it, and something in her snaps. She now becomes a little crazy herself. The next two murders are ones that she does on her own, without Chris even knowing about them. First, there’s a bachelorette party murder, (granted, I have no idea what Chris was thinking, letting this random girl climb all over him and make out with him,) but Tina takes it to the next level. And then there’s the situation that occurs when a friend of theirs (who they met on the road,) comes to visit their campsite, and Tima doesn’t get what she wants. The ending to the movie perfectly captures and cements where this storyline would naturally end up. To put it vaguely (as to not give too much away,) lets say that Chris spent the entire movie creating a monster and by the end, there is nothing he can do about it. He brought something out of Tina that was trapped deep inside of her, and once Chris helped her set it free, she really had no need for him anymore. As a psychological movie, this works. There’s a clear difference between the murders Chris does (which are more like Serial. Mom murders out to make society a little better,) and the ones Tina does. Her last murder, for example, is of the nicest guy in the world, who does absolutely nothing wrong. The movie gets us to that point where we could see how something like this might happen. We’ve followed a tiny sees that continues growing throughout the course of the film, and by the end, the train has gone off the tracks and the brakes are long gone. This movie is smart and clever, and the black comedy elements are a nice bonus.